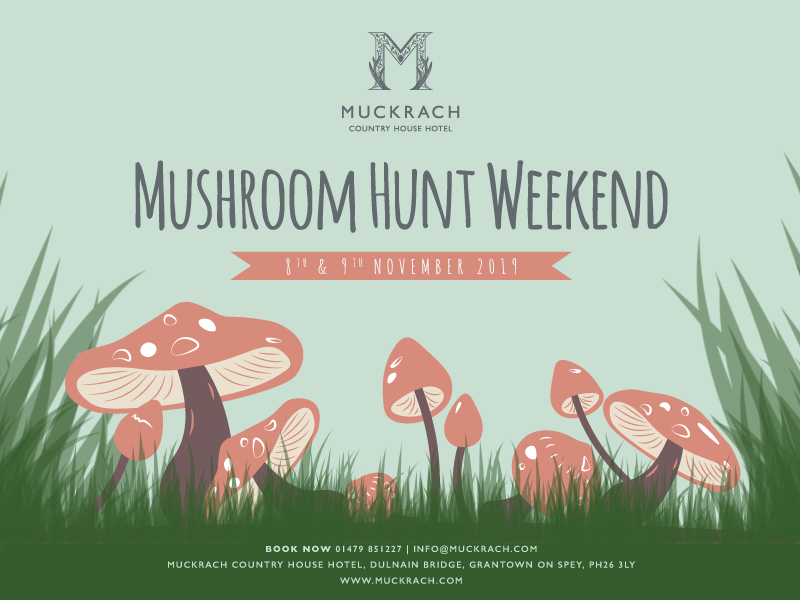 We are having a Mushroom Hunt at Muckrach. Join us on the 8th November to kick off the weekend of foraging, arrive for Cream Tea at 3:00pm. Shortly followed by a delicious mushroom themed dinner in the conservatory. Wake up early ready to kick start the hunt and enjoy coffee and bacon rolls at 8:00am. Followed by a trip to Anagach Woods for a day of identifying mushrooms with the expert Bill Boletus. After a fun packed day in the woods join us for a Gala Dinner on Saturday evening. Depart after a hearty breakfast on the Sunday morning. Classic rooms £499, Superior rooms £549, executive rooms at £599 and suites priced at £659. The Dulnain will be priced at £1,250. All these prices include all meals.